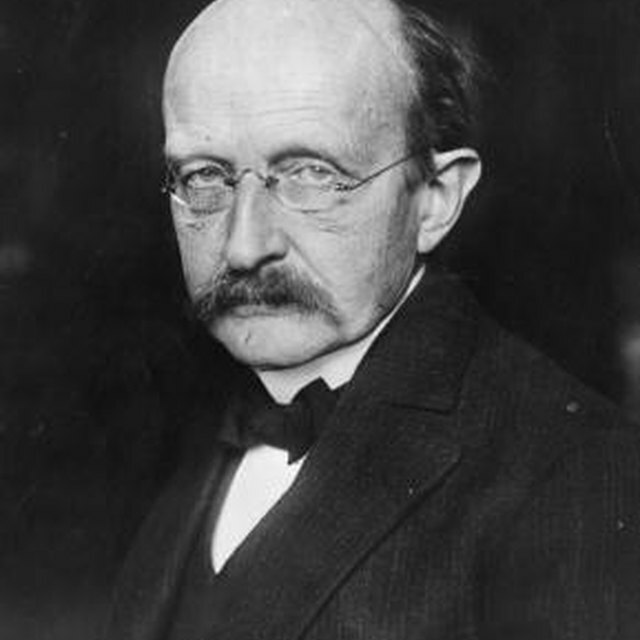 Who Discovered the Particle Theory? What Are an Atom, Electron, Neutron and Proton? What Is the Difference between Quarks & Leptons? Particle physics is the subfield of physics that deals with the study of elementary subatomic particles -- the particles that make up atoms. In the early 20th century, many experimental breakthroughs were made that suggested that atoms, which were believed to be the smallest component of matter, were made up of even smaller particles. New theories were devised to explain this (such as the Standard Model of Particle Physics), many new experiments were designed (using equipment such as particle accelerators) and it gradually became clear that the particles making up atoms may be broken down even further. Two examples of such particles are quarks and leptons, and while these types of particles have much in common, their differences are often stark. Quarks (named by Nobel prize-winner Murray Gell-Mann after a quote in the book "Finnegan's Wake" by James Joyce) and leptons are currently believed to be the most fundamental particles that exist; that is, they cannot be broken down into further constituent particles. Quarks and leptons are also not themselves particles; rather, they refer to families of particles, each containing six members. The quark family of particles consists of up, down, top, bottom, charm and strange particles, while leptons consist of the electron, electron neutrino, muon, muon neutrino, tau and tau neutrino particles. There are also antiparticles associated with each particle, the antiparticle being the mirror opposite of the corresponding particle (e.g. having the opposite charge). Leptons have an electric charge of either one fundamental charge unit (defined as the charge of a single electron), in the case of the electron, muon or tau, or no charge, in the case of the corresponding neutrinos. Quarks, on the other hand, each have fractional charges ( +/- 1/3 or +/- 2/3, depending on the quark). When these quarks are grouped together, the sum of their charges always adds up to a integer charge. For example, if two up quarks and one down quark (with charges of +2/3 and -1/3, respectively) are grouped together, the sum of the charges adds up to +1, and a new particle is created. 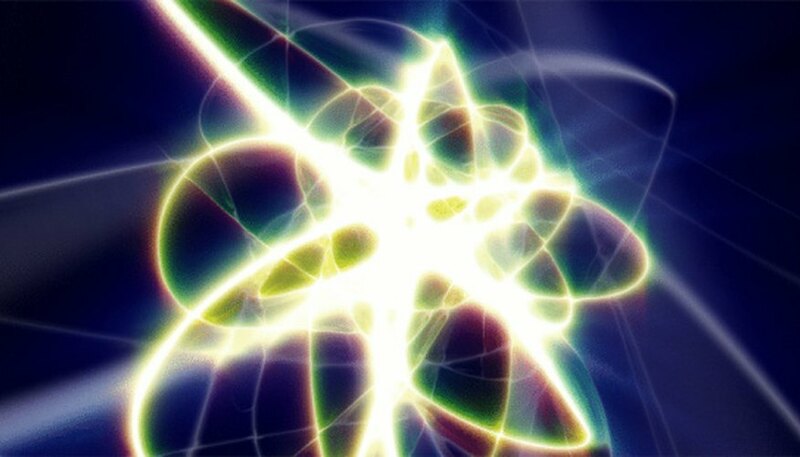 This new particle is the proton, one of the major components of the atomic nucleus. While quarks all have a fractional charge, a quark will never freely exist in nature; this is because of a fundamental force known as the "strong force." The strong force, which is mediated by force-carrying particles called gluons, acts within the nucleus of atoms and keeps quarks attracted to one another. The force between quarks increases as they move apart, ensuring that a free quark is never detected. The field of study dedicated to the interactions between quarks and gluons is called quantum chromodynamics (QCD). Leptons, on the other hand, are very "independent" particles, and are can be isolated. There are four fundamental forces in nature: the strong force (which holds atomic nuclei and quarks together), the weak force (which is responsible for radioactive decay), the electromagnetic force (which helps keep atoms together) and the gravitational force (which acts any object with mass or energy in the universe). Quarks are subject to all of the fundamental forces; leptons, on the other hand, are subject to all forces except for the strong force. This is because the strong force has a very short range, typically smaller than that of an atomic nucleus; therefore, the strong force is generally confined to this area. The weak, electromagnetic and gravitational forces, on the other hand, can act over a much greater distance than the strong force can. Thomas Bourdin began writing professionally in 2010. He writes for various websites, where his interests include science, computers and music. He holds a Bachelor of Science degree in physics with a minor in mathematics from the University of Saskatchewan and a Master of Science in physics from Ryerson University. What Are the Smallest Particles of an Element? What are the 4 Fundamental Forces? What Are the Three Subatomic Parts to an Atom & Their Charges? Bourdin, Thomas. "What Is the Difference between Quarks & Leptons?" Sciencing, https://sciencing.com/difference-between-quarks-leptons-8076741.html. 25 April 2017.